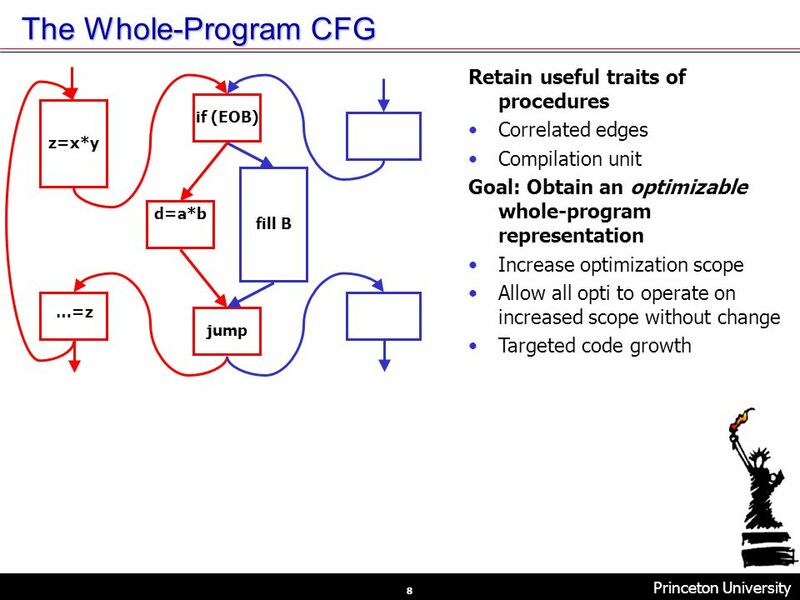 A Framework for Unrestricted Whole-Program Optimization Spyridon Triantafyllis, Matthew J. Bridges, Easwaran Raman, Guilherme Ottoni, David I. August The. 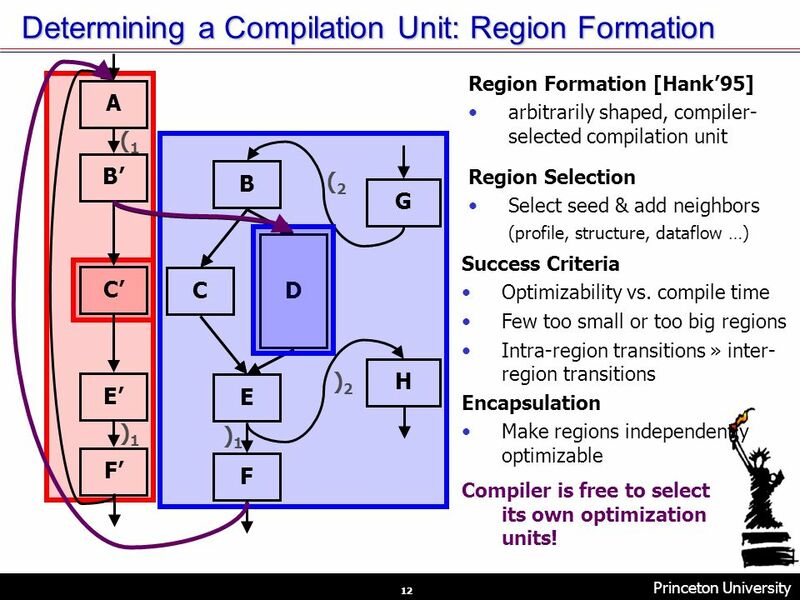 12 Princeton University Velocity Compiler Research 12 Determining a Compilation Unit: Region Formation B C D E H F A G (1(1 (2(2 )2)2 B C E F )1)1 )1)1 Region Formation [Hank95] arbitrarily shaped, compiler- selected compilation unit Region Selection Select seed & add neighbors (profile, structure, dataflow …) Success Criteria Optimizability vs. compile time Few too small or too big regions Intra-region transitions » inter- region transitions Encapsulation Make regions independently optimizable Compiler is free to select its own optimization units! 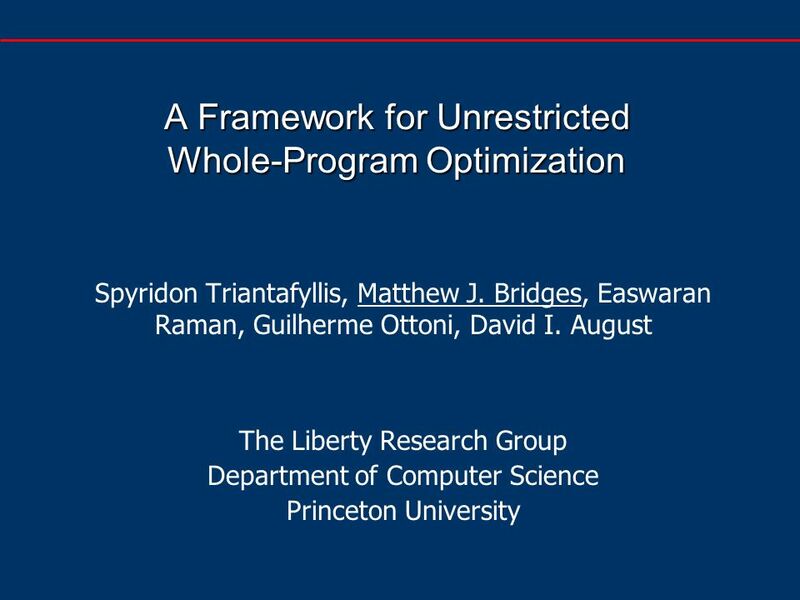 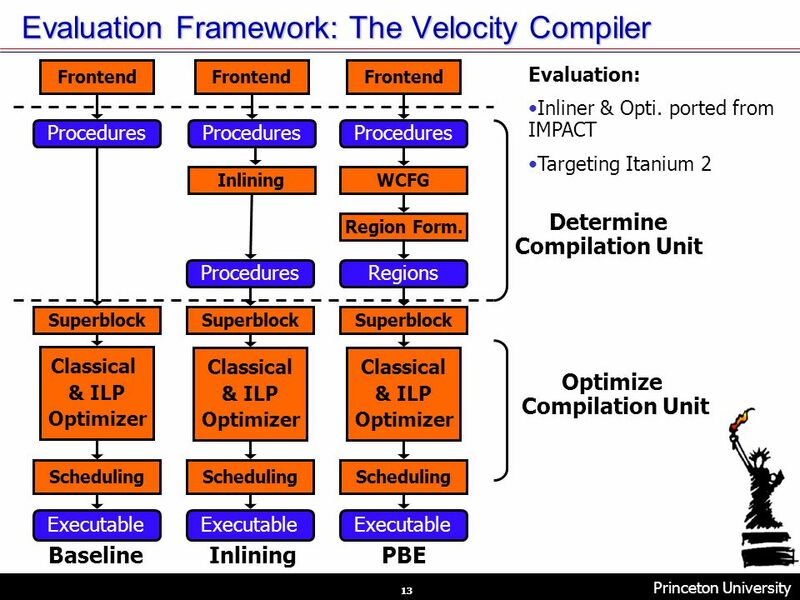 Download ppt "A Framework for Unrestricted Whole-Program Optimization Spyridon Triantafyllis, Matthew J. Bridges, Easwaran Raman, Guilherme Ottoni, David I. August The." 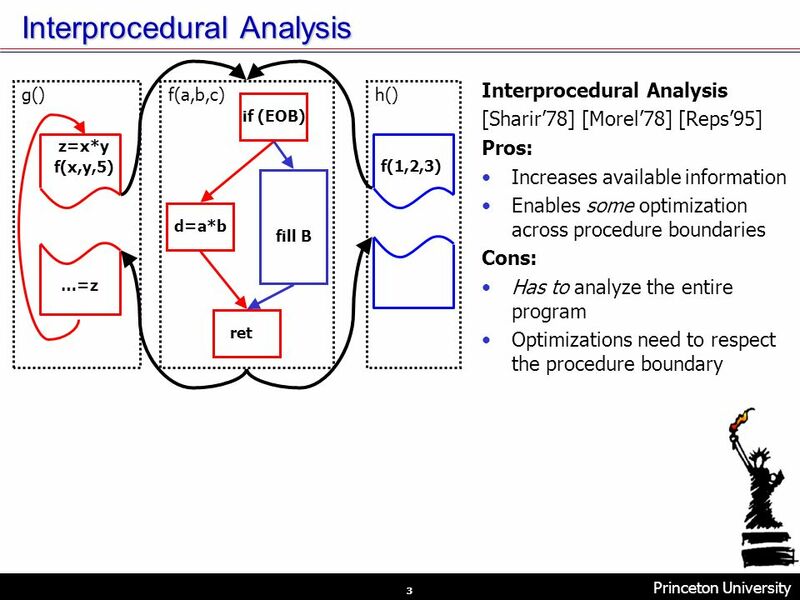 Precise Interprocedural Analysis using Random Interpretation Sumit Gulwani George Necula UC-Berkeley. 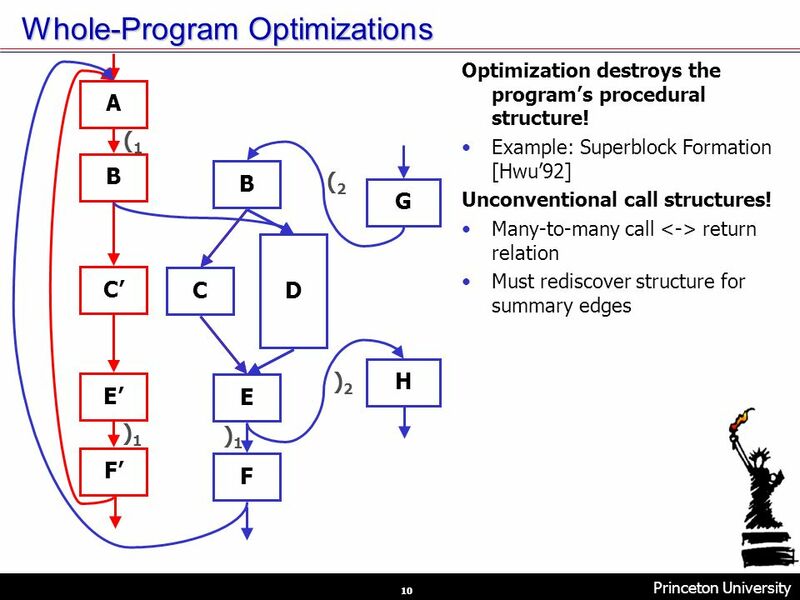 Automatic Instruction Scheduler Retargeting by Reverse-Engineering Matthew J. Bridges, Neil Vachharajani, Guilherme Ottoni, David I. August Liberty Research. 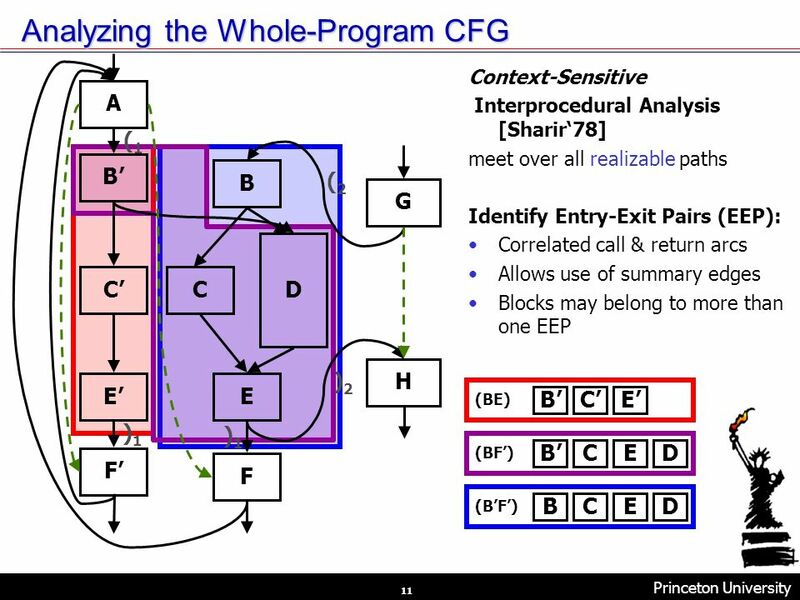 Re-examining Instruction Reuse in Pre-execution Approaches By Sonya R. Wolff Prof. Ronald D. Barnes June 5, 2011. 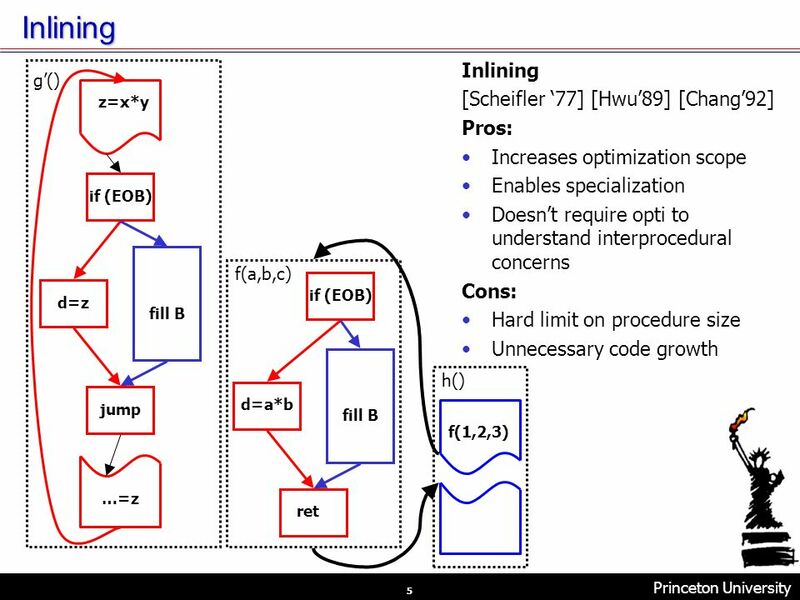 Virtual Cluster Scheduling Through the Scheduling Graph Josep M. Codina Jesús Sánchez Antonio González Intel Barcelona Research Center, Intel Labs - UPC. 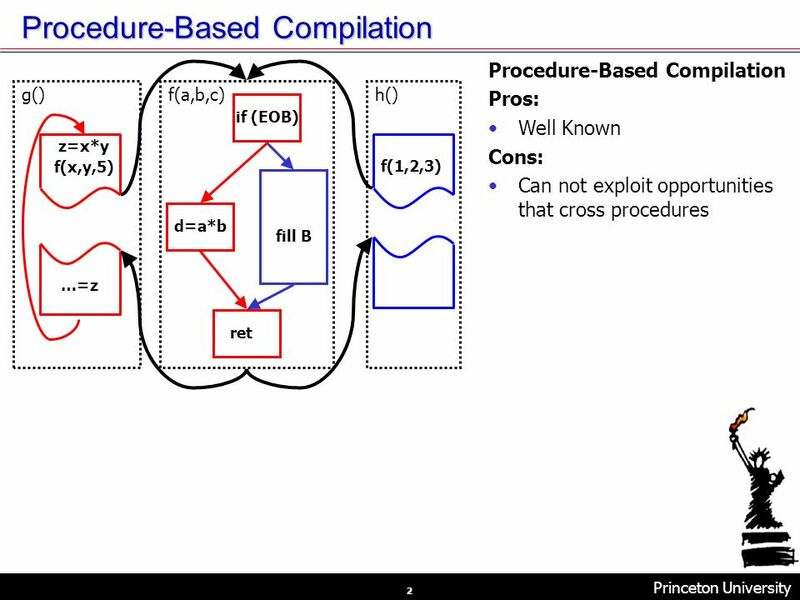 KNURE, Software department, Ph , N.V. Bilous Faculty of computer sciences Software department, KNURE An Euler. 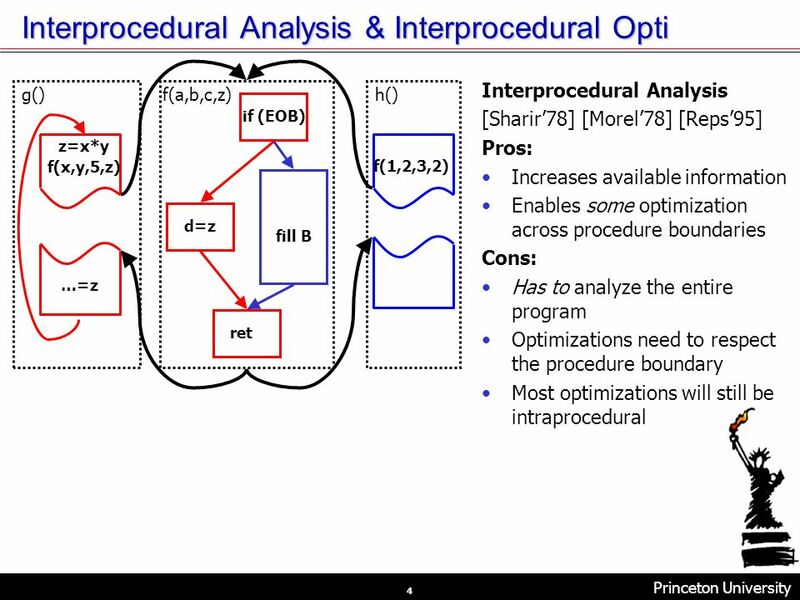 Construct Detailed Analysis Identify the techniques employed in analyzing the information: a.Entity Life History b.Relational Data Analysis c.Context Diagram. 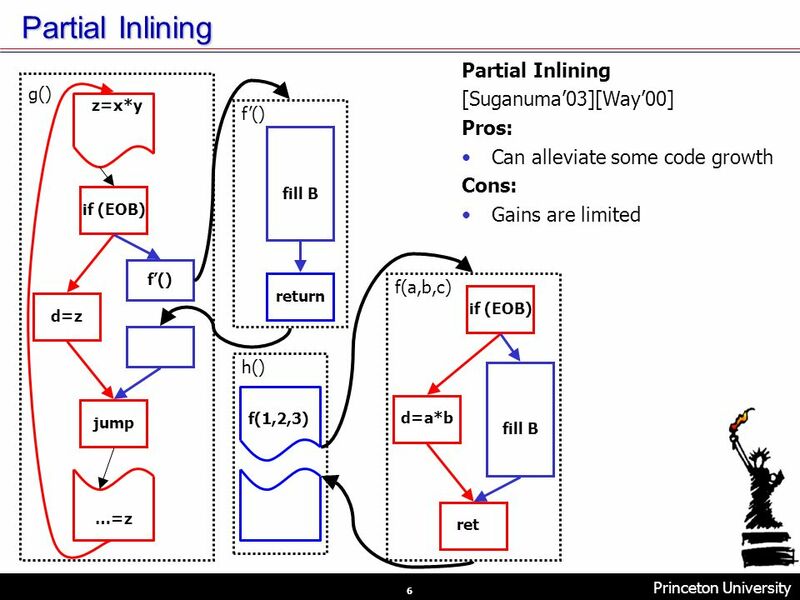 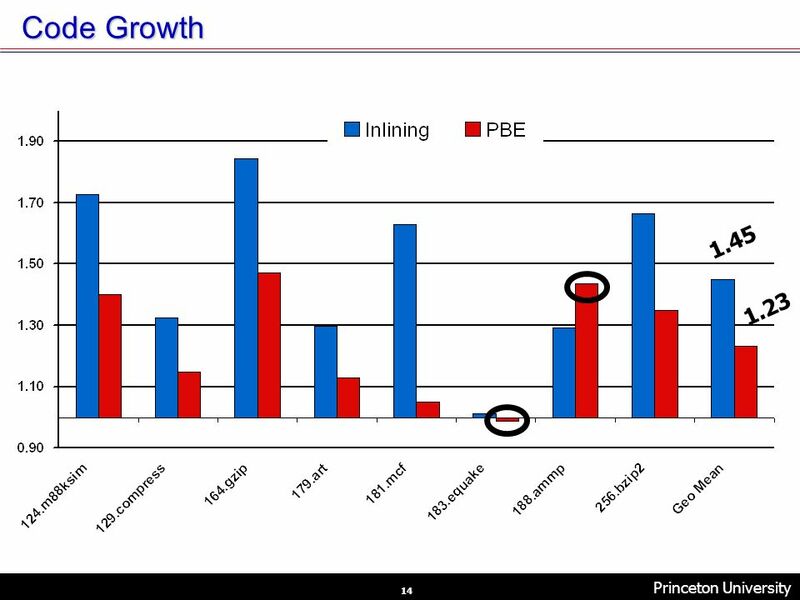 Copyright 2001 Advanced Strategies, Inc. 1 Data Bridging An Overview Prepared for DIGIT By Advanced Strategies, Inc. 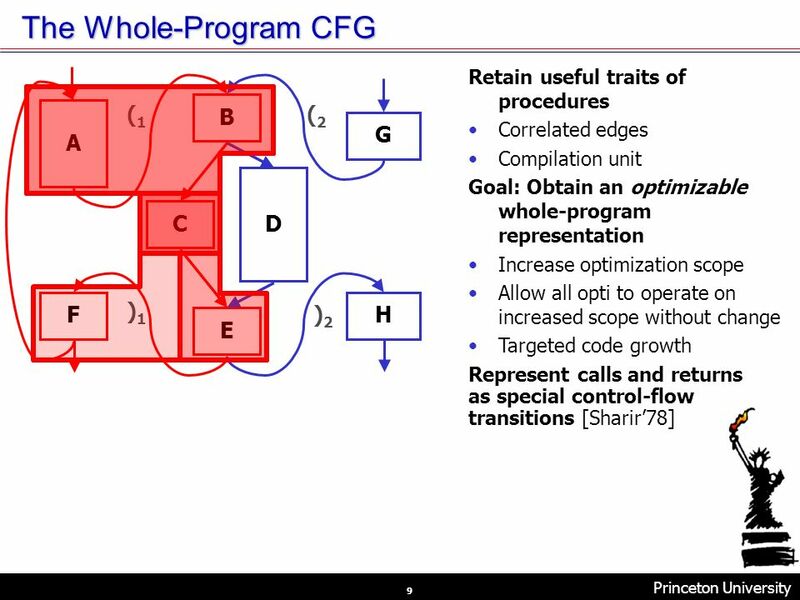 Analysis of engineering system by means of graph representation.